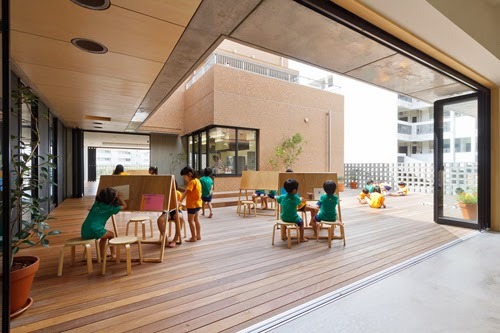 Youji No Shiro (designers of the DS Nursery) know how an early childhood centre should be and their latest Hanazono Kindergarten is no exception. 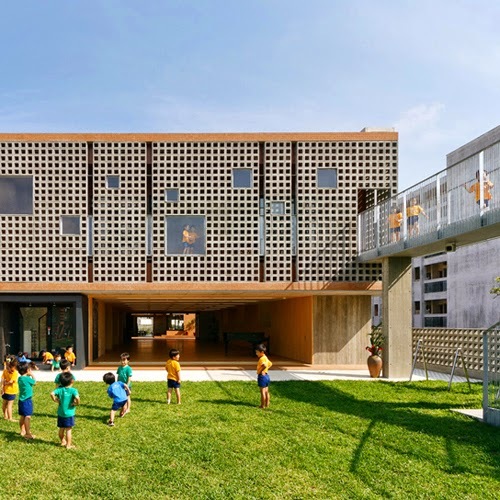 The kindergarten's design mediates the necessity for large, open and flexible space (for the centres' varying and changing needs) with attention to functionality, materiality and detail. A feat Japanese architects appear to be very good at. Above, a grouped indoor and outdoor dining space. 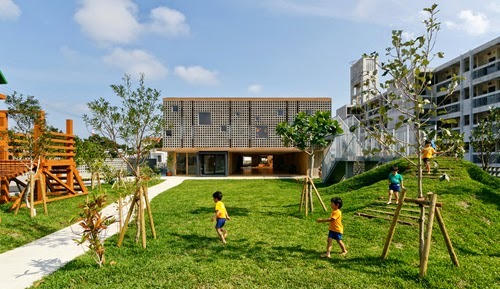 Semi-enclosed decks, courtyards and terraces are employed along with large bi-folding doors to ensure maximum connection at all times with the natural outdoors for healthy learning. Above, upstairs rooms offer playful bright bold colouring on its walls and varying sized openings between spaces - with even one on the floor! The structure is constructed of steel and concrete, while other materials include both stained and natural timber, stacked hollow concrete blockwork, chalkboard walls and red brick. Materials which speak of timelessness. Outside, a grassy mound and timber play structures encourage adventurous physical play. 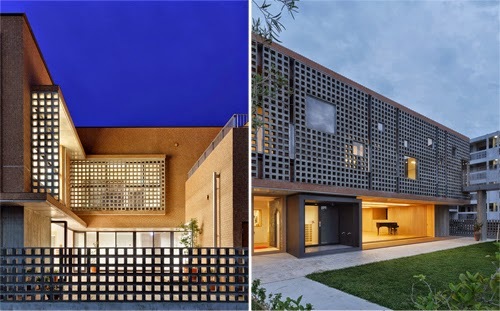 The centres' design language of a system of grid-like squares lends itself to a variety of expressions. Seen above, the hollow concrete block creating a lovely pattern of light.